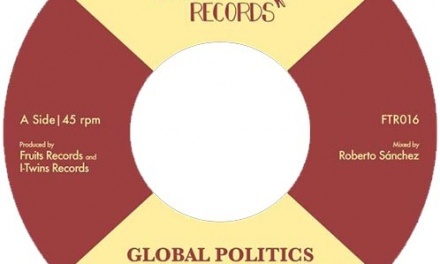 In the last couple of years a group of very promising young reggae artists emerged in Europe. This group includes artists such as Raphael, Lion D, Cali P, Richie Campbell, Naâman and Randy Valentine. The latter, a UK based multi-talented versatile singer-songwriter/producer with Jamaican roots, started to make a name for himself with his first project, the mixtape “Bring Back The Love”, which was downloaded over 50,000 times in 2013 (free download). The follow-up project, his debut EP “Break The Chain”, was very successful in various countries and solidified his reputation as one of the most promising artists of his generation. And now, two years after the release of his successful mixtape, he comes up with his third project, the sublime “Still Pushing EP”. 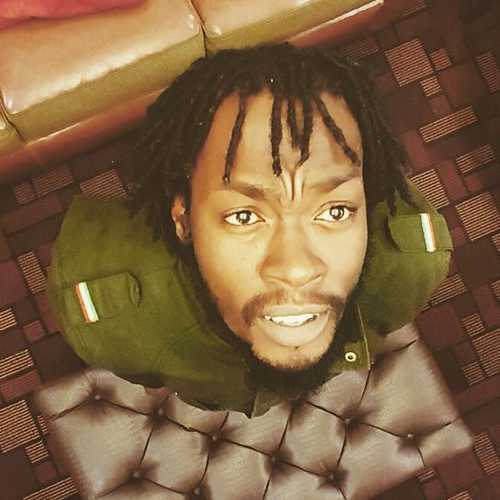 For his latest offering Randy Valentine joined forces with young budding producer Joe Ariwa. The latter, son of renown producer Mad Professor, grew up in and around the Ariwa Studios and learned most of his engineering and mixing skills from an excellent teacher. 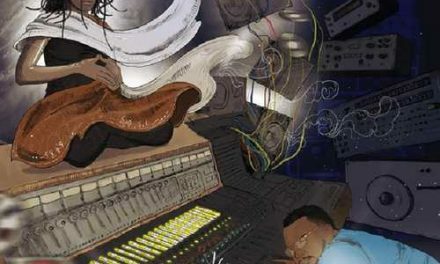 Since about 2006 he started to do his own production works which led to the release of albums like “Joe Ariwa Meets Young Warrior”, “Dub Tech Dub”, “Dubstep Dub” and “General Levy & Joe Ariwa In The Chamber Of Dub”. 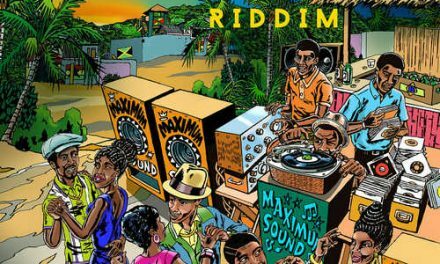 The riddims, played live by respected musicians such as Dennis Bovell, Black Steele and Wayne Horseman, have an old-skool reggae vibe with a modern twist and are predominantly mixed in a rootical dubwise style ‘n fashion. What an opener! 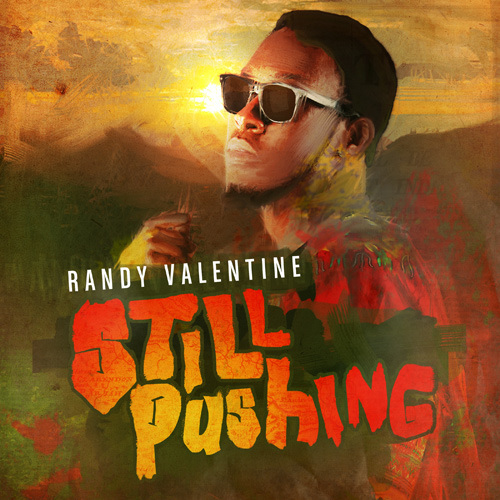 The short but nevertheless impressive title track “Still Pushing”, a partly spoken/partly sung acapella/acoustic tune full of consciousness, displays Randy Valentine’s strong vocal and lyrical skills to the fullest. This is continued on the solid “Wake The Town”, which apart from seeing him act as a good singer learns to listener that he can excel as a deejay as well. The great message tune “Mama Said” is underpinned by an awesome revitalized version of a riddim that defined the Rockers era, “I-Man” aka “Jah Jah Dub” originally released by Herman Chin-Loy on the “Aquarius Dub” album, but later re-recorded and released by Augustus Pablo who titled it “Cassava Piece”. He also shines bright on the beautiful “Black Cinderella”, a song that goes into lovers territory as he expresses love and respect for his empress. 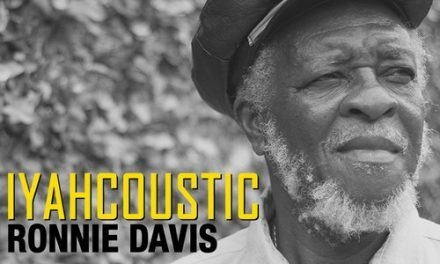 “The Question” is a nice effort, which at the end returns in dubbed up form as “Dub Is The Answer”, a track that leans more towards the well-known Ariwa sound. Another highlight is “Consequences”, a big tune across a truly wicked interpretation of John Holt’s “Police In Helicopter” riddim. Also the matching “Roots & Culture” with its familiar sounding riddim (most likely The Royals’ “Pick Up The Pieces”) is a tune worth hearing. Conclusion This indispensable 8-track EP surpasses all expectations!! Pretty sure it will propel Randy Valentine's career several steps forward. It's only a matter of time before he's a force to reckon with in the international reggae scene.